Seven days in Fiji is plenty enough to have an amazing vacation! 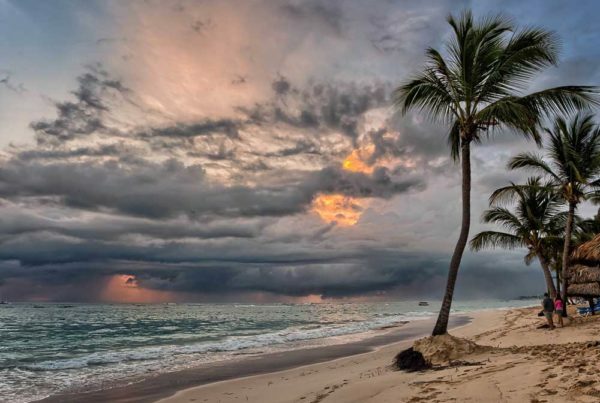 With glorious warm weather, many great things to do in and out of the resorts and amazing road trip itineraries to try, Fiji really has seven-day experience for everyone! What’s more, you don’t have to be super rich to have rich experiences. 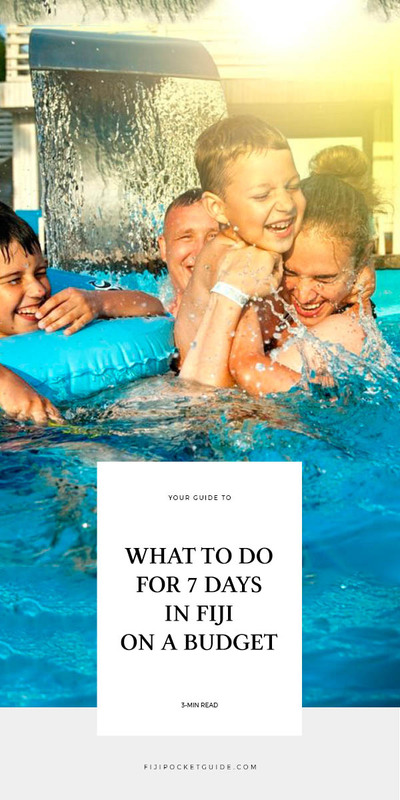 Find out how in this guide on what to do for 7 days in Fiji on a budget! While you’re here, you might want to check out our Budget Guide to Fiji! Did you know there are more accommodation types than resorts? Check out backpackers and homestays for a cheaper alternative. To save on transport costs, choose a location near Nadi International Airport where airport transfers are either free or very cheap. Car rental is a great way to get further on the island of Viti Levu. Check out How to Save Money of Car Rental in Fiji for budget tips. You don’t have to always eat from the expensive resort menu. Look out for rooms where you can make your own meals or even head to the nearest town for much cheaper meals. Check out how to save money on activities with our Where to Book Tours in Fiji. 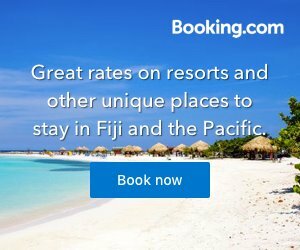 While the cost of car rental in Fiji might not be all that cheap, the ability to stay in super cheap homestays and backpacker accommodation more than makes up for it. 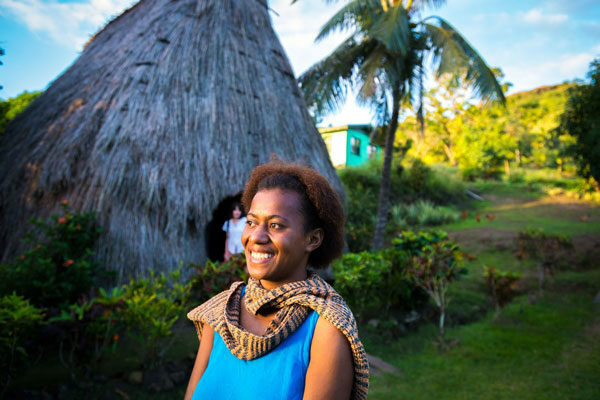 You and your friends can really save a great deal of money by swapping 7 days in an expensive resort for a road trip around Viti Levu, stopping by free and cheap attractions along the way. Here’s an example of what you could be getting up to, or check out our complete Budget Fiji Itinerary: 7 Days. Day 1: Pick-up the car and drive from Nadi to Rakiraki (2 hours). 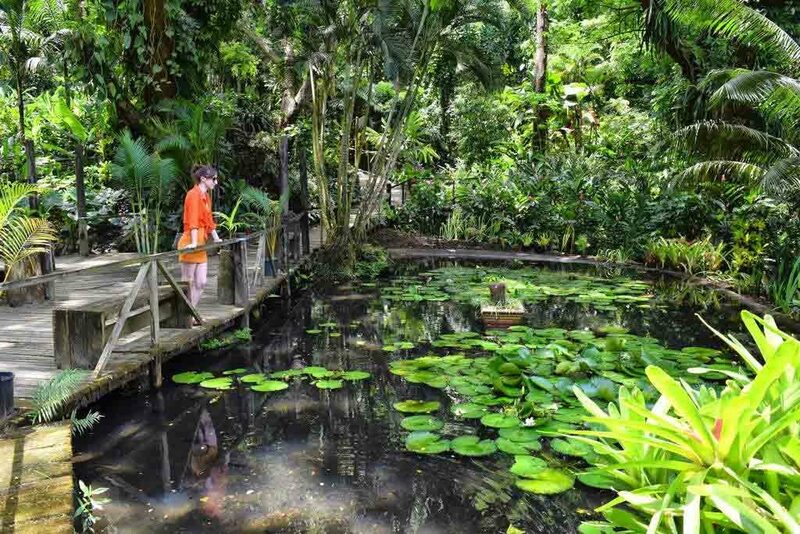 Stop by the Garden of the Sleeping Giant for an amazing tropical forest and gardens. Check out a traditional Fijian market at Lautoka. Enjoy a spectacular sunset from Rakiraki on the Suncoast. Day 2: Drive from Rakiraki to Suva (2h30min). Do some walks in the Colo-i-Suva Forest Park, visit the Dilkusha Girls Home and take a gift to this girls’ orphanage, or do a walking city tour of Suva, the capital of Fiji. Day 3: Drive from Suva to the Pacific Harbour (1 hour). Get a taste for a holiday on a resort at Waidroka Bay Resort or Club Oceanus Resort, or check out more options on our 10 Budget Accommodation on the Pacific Harbour. Day 4: Spend another day at the Pacific Harbour and choose one of the many adventure activities, such as ziplining, shark dives and sand dune buggying. Day 5: Drive from the Pacific Harbour to the Coral Coast (1-2 hours). Drive to the Biausevu Village where village tour guides will show you the magnificent Biausevu Waterfall. Day 6: Drive from the Coral Coast to Denarau (1-2 hours). Check out the largest integrated resort town in the South Pacific with great food, great activities and great shopping. Day 7: Drop off your vehicle and continue your travels from the Nadi International Airport. For more advice on renting a car see our The Best Car Rentals in Fiji, as well as How to Save Money on Car Rental in Fiji. Long gone are the days when Fiji was all about cocktails with umbrellas and uninspired fish dishes. Today, you can find a real mix of Fijian, Indo-Fijian and Chinese flavours. However, the best way to experience the more authentic side of Fiji’s food IS on a budget! Delve into the towns, cities and villages where not only will you find a range of flavours to tickle the taste buds, but they all super affordable. We are talking full meals for under FJ$10 here! Plus, almost all homestays, which will cost FJ$70 per person at the most, come with the option of homemade meals. Ask to help out with the cooking and you’ll no doubt get some real inspiration for home cooking – there’s no need to pay for expensive cooking classes. With all that in mind, you’ll be able to rent a car and hit all the major foodie locations in Viti Levu. Day 1: Pick-up the car and discover the tastes of Nadi! Head to the Namaka Food Market and try some delicious Fijian and Indo-Fijian Dishes in the restaurants we list in our Cheap Eats in Nadi. 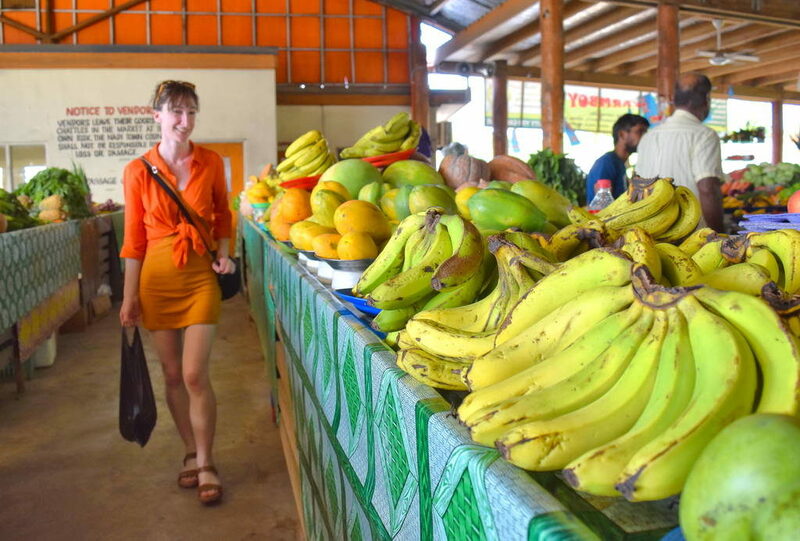 Drive from Nadi to Rakiraki (2 hours), stopping by the market and shops in Lautoka. Day 2: Drive from Rakiraki to Suva (2h30min). Enjoy the scenic drive, then arrive in Suva where the capital city has a whole range of foodie experience to enjoy. Enjoy the delightful flavours of the local street food and sit down to a meal with the help from our Cheap Eats in Suva guide. Day 3: Spend one more day in Suva lapping up the flavours. The Municipal Market is a must where you’ll taste the sweetest pineapples you’ve ever had and the most flavoursome bananas. Day 4: Drive from Suva to the Coral Coast (2 hours) stopping by the cafes at the Pacific Harbour with great ocean views. Stay in the Gecko’s Resort for that resort holiday experience at an affordable price. Day 5: Spend another day in the Coral Coast Enjoy eating a traditional “Lovo” lunch and Fijian cultural performances, as well as sampling items off the resort menu. For more advice on renting a car, check out Things to Know About Car Rental in Fiji. You certainly don’t have to be rich to enjoy an island getaway in Fiji. While a limited budget might mean that luxury accommodation is not on the cards, the island paradise that you will be surrounded by will sure make you feel like you’re living in luxury. There’s nothing more romantic than getting marooned on an island together (while, of course, having all the conveniences of a resort). Beach bures and glamping tents add a sense of adventure to your honeymoon or couples’ getaway, while the array of amazing island and water activities are sure to lure you away from the relaxing on the beach for the entire 7 days. Day 1: Arrive in Nadi and treat yourself to your first night in the Hilton Fiji Beach Resort & Spa with romantic adults-only areas and a popular location for weddings. Day 2: Catch the ferry from Denarau to the Yasawa Islands, known for their paradise tropical islands and extremely affordable accommodations. Stay in the Waitui Basecamp in one of their luxurious glamping tents for couples. Day 3: Go snorkelling in coral reefs with an array of tropical fish. Day 4: Get competitive on a reef fishing trip. Day 5: Do some island-hopping with a romantic Fijian barbecue on the beach. Day 6: Spend a day relaxing or doing a forest hike before taking the ferry back to Denarau, free transfers are included in the ferry ticket to your chosen accommodation. We recommend the Mercure Nadi for a touch of luxury at an affordable price. Treat yourself to a couples spa treatment or simply relax by the pool. Day 7: Take a free transfer to the airport. For more budget accommodation options, be sure to check out our 10 Budget Accommodation in Nadi and 10 Budget Accommodation in the Yasawa Islands. Searching for a family-friendly resort on a budget can be a bit of a daunting task, especially in Fiji. Nevertheless, there are a few hidden gems that are well worth considering, which offer free kids clubs and rooms at a reasonable rate. To make sure there’s enough variety of activities and day trips for the whole family, we recommend staying along Fiji’s stunning Coral Coast. What’s more, airport transfers to the Coral Coast are either free or very affordable with Coral Coast resorts with Nadi International Airport being only a 45-minute drive away. With all of the above criteria in mind, a great Coral Coast resort to choose is The Naviti Resort. Although this 4-star resort set among tropical gardens seems like a pricey affair, their garden-view rooms are very suitable for a family with two young children (12 & under) while being at a reasonable rate. While their rates are around FJ$270 per night, you’re bound to find cheaper through Booking.com or always ask for a deal! Day 1: Airport transfer along the stunning Coral Coast to the resort. Get settled, jump in the pool, and enjoy an evening family dinner. Day 2: Spend some quality time doing free activities, such as archery, beach volleyball, kayaking, snorkelling and much more! Day 3: Let the kids enjoy the complimentary kids club for ages 5-12 years old, with games, donkey feeding, crab hunt, music and more. Meanwhile, enjoy some alone time, whether it’s a free diving lesson, paddle boarding or enjoying quiet time by the pool. Day 4: Book a day trip to Kula Wild Adventure Park so see native wildlife, jump on the waterslides and ride the ziprail! Day 5: Book a day trip to the Biausevu Waterfall to get engrossed in nature on this affordable trip which involves walking for under one hour. Day 6: Enjoy your last full day in the resort. Enjoy the free adults & teens activities such as coconut husking, watermelon cracking and tons of beach sports, while younger kids are at kids clubs. Or simply enjoy a day at the pool or beach. Day 7: Transfer back to Nadi Airport. 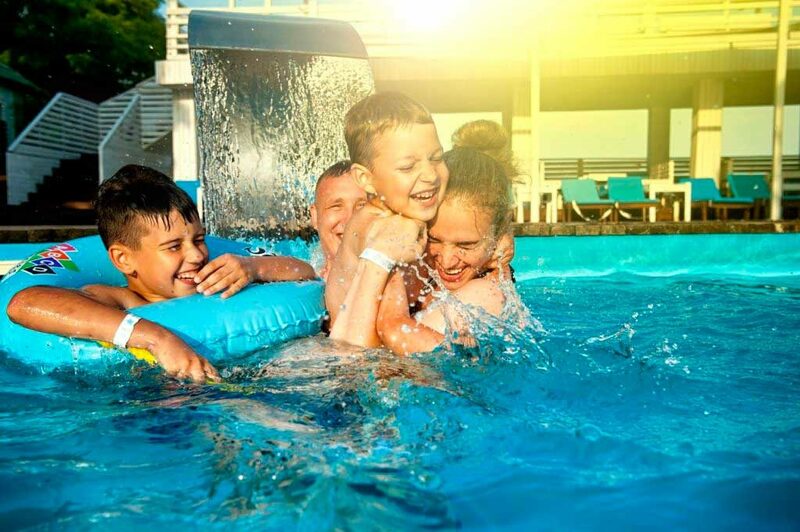 For more family-friendly resorts at an affordable price on the Coral Coast, check out 10 Best Resorts on the Coral Coast, as well as 10 Free & Cheap Things to Do on the Coral Coast. 5-Day Budget Itinerary for Fiji. Let's just start by saying that five days is not enough time in Fiji! What is the Weather Like in April? April in Fiji brings a whole new meaning to "April Showers", as April is the final month of the wet season! 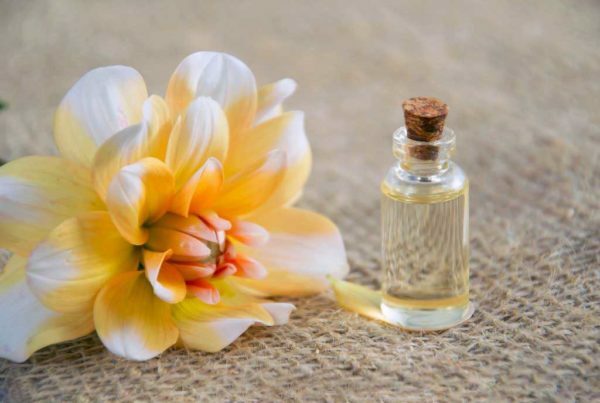 What is a Fijian Massage (And Why You Need to Try It?) Most of our jobs from the modern world put immense strain on our body, from the office worker sitting at a computer for eight hours a day to the construction worker putting their body through its paces day-after-day.